I LOVE making books with my son! 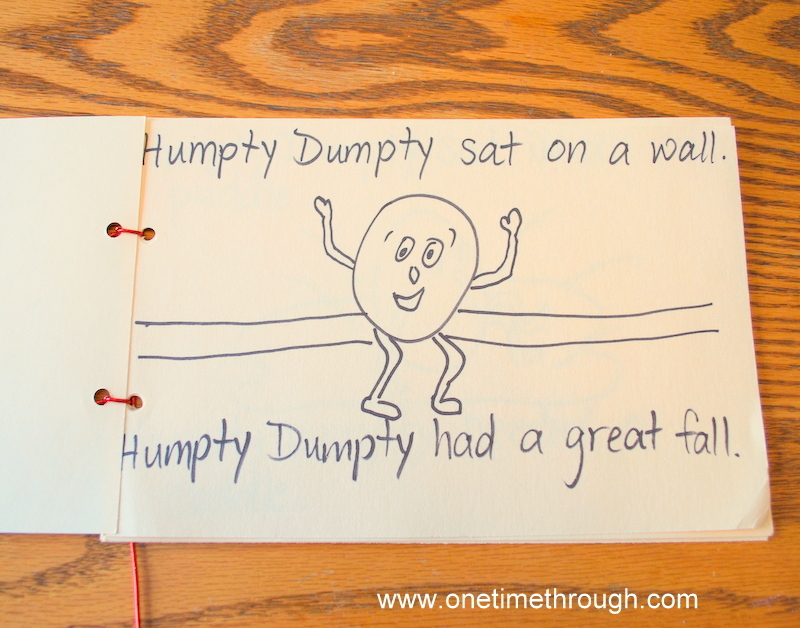 To further enrich the “Egg-speriment” Egg-stravaganza we posted yesterday, my son Onetime and I created a fantastic little Humpty Dumpty rhyming book of our own that you can do too! Cut the sheets of cardstock in half so you have 6 to 8 pages. 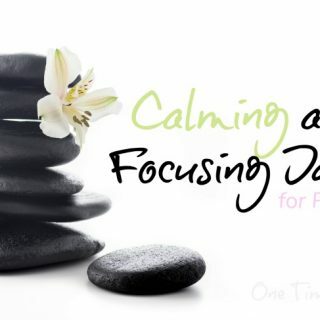 Punch 2 or 3 holes in one end of each page and secure the pages into a booklet with string or cord. 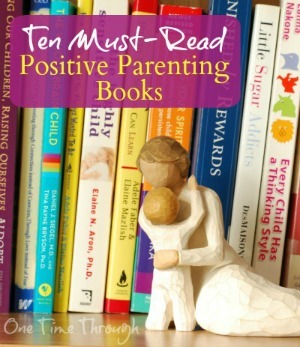 Write a title on the front and include your child’s name in the title! They will LOVE this! 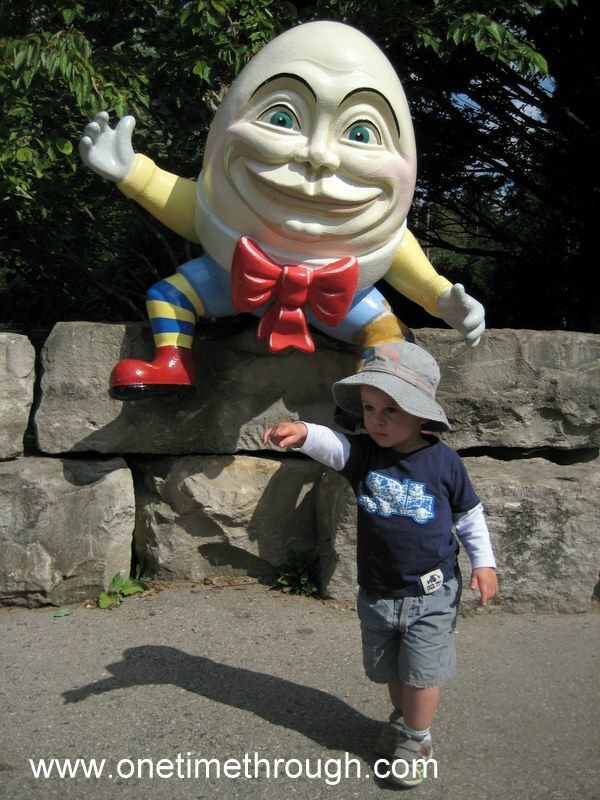 Be silly and draw a funny picture of Humpty Dumpty on the front with your child. You don’t have to be an artist (You can clearly see that I’m certainly not!). Your child will still love him! Be sure to add the Authors! 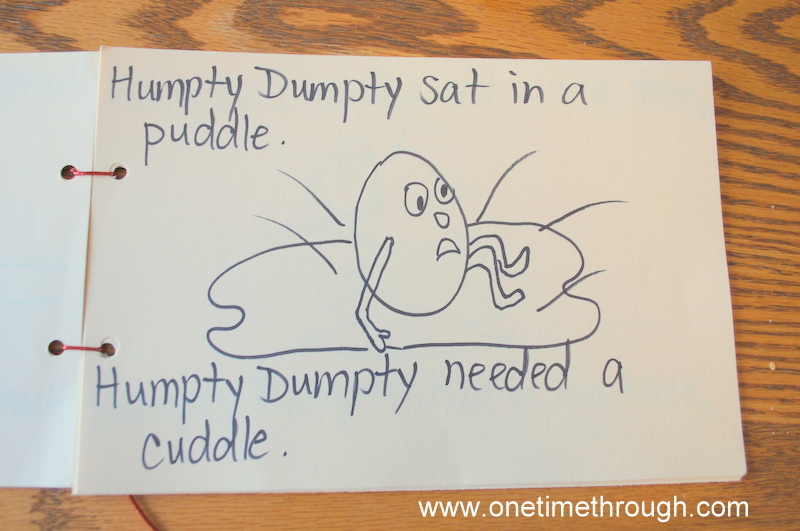 On the first inside page, write the typical Humpty Dumpty starting line and draw a silly picture to go with it. 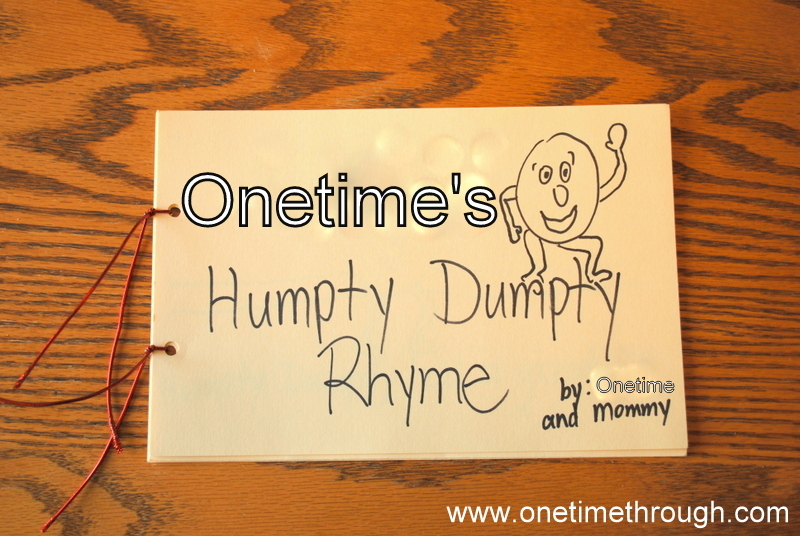 Then, get your child to help you finish the rhyme! Onetime was able to help me finish most of the sentences. 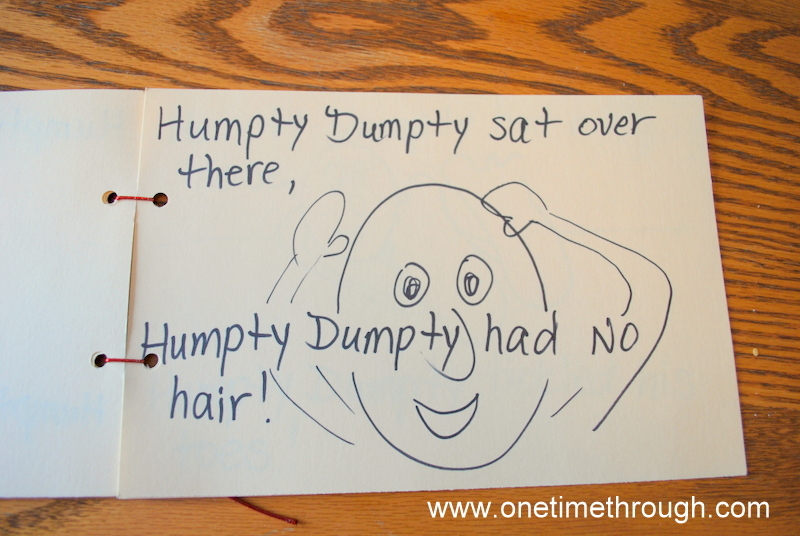 The funniest one was him finishing “Humpty Dumpty sat on a ____________ by filling in “Mom” and then rhyming it gleefully with “bum!” (see picture below). I was hoping for “thumb”, but that’s not what came out! 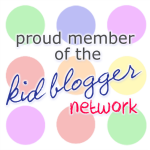 In our defense, we have been working on potty learning! 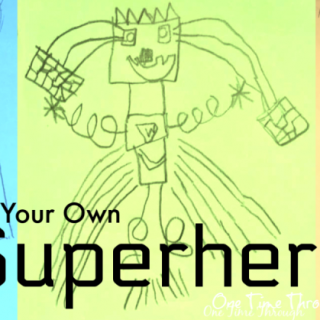 Oh, and you can draw the pictures yourself – OR let your little one draw! 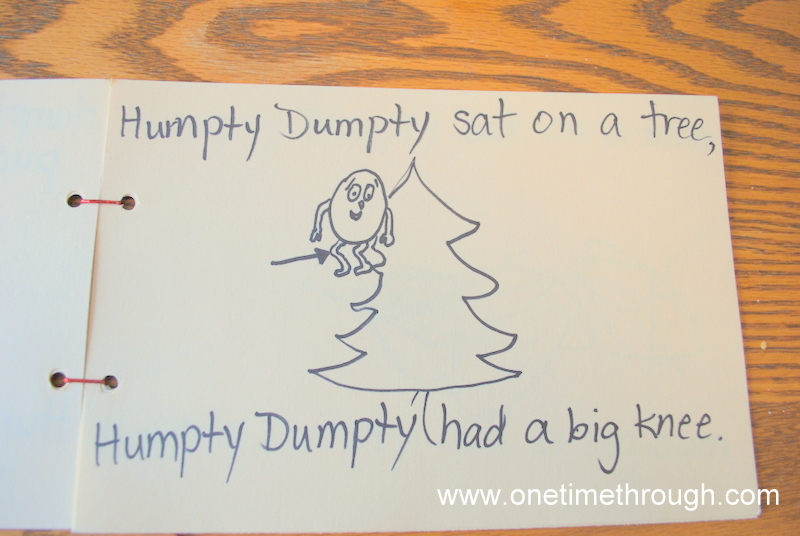 As a teacher, I have learned that rhyming is SO important for young children. It helps them learn to identify sounds that are the same and ones that are different – very important for early reading! Down the road, it will also help with spelling as your child will have a mental “store” of sound families that follow the same spelling pattern. We like to play rhyming games in the car when driving. As young as 2, kids can start to learn to create rhymes to a word you give them. Try using “ball” and then give some examples of words that rhyme with that. 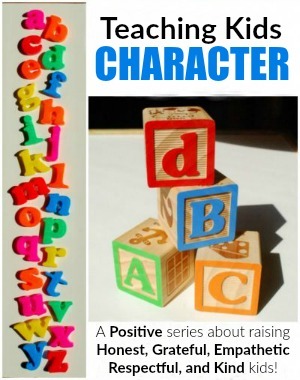 Soon your kiddo will be coming up with examples of his/her own. Using make-believe words for rhyming games is fun too. For example, try asking your child to give you rhymes for “shoosh” – whoosh, boosh, koosh, doosh (oops!). 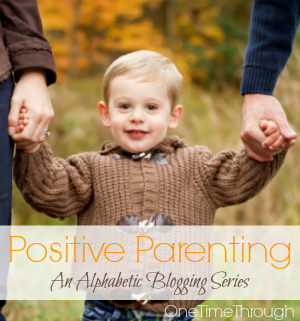 Just don’t try the “uck” family, or…..Oh – you’ll figure it out just like I did! Oh, and don’t forget to create a back page featuring your child! 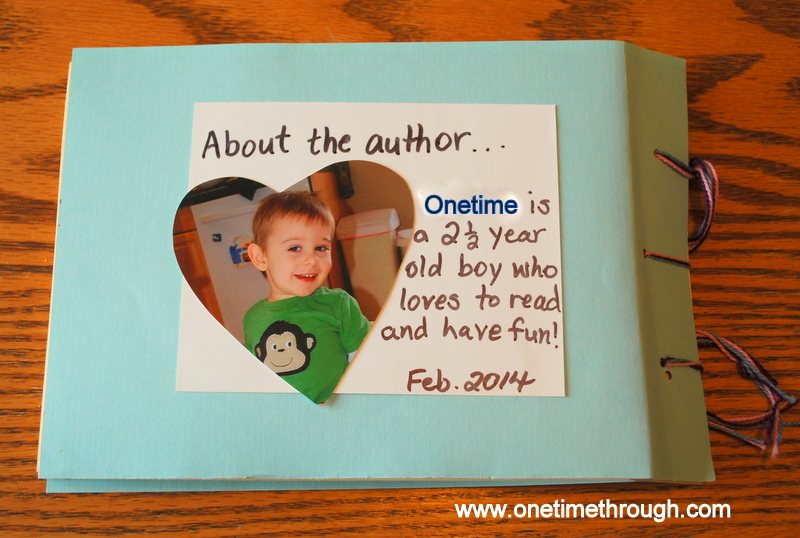 Onetime really likes seeing a photo of himself as the “author” on the back of his creations! 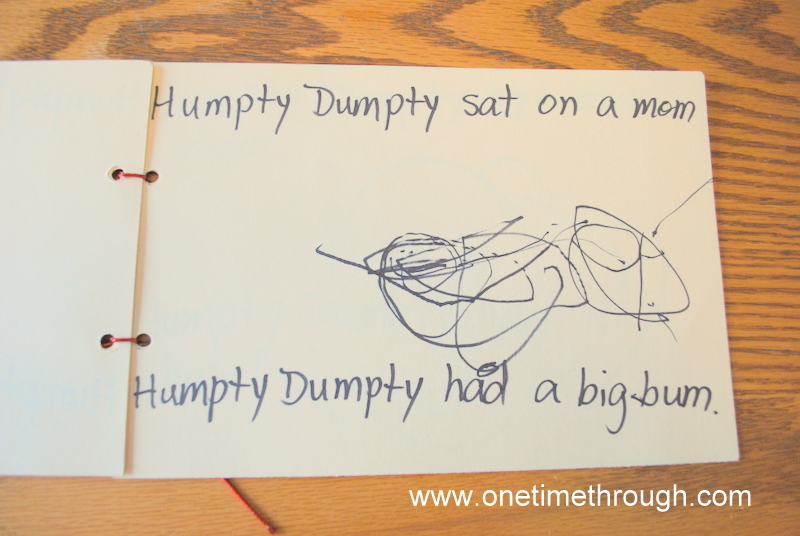 Hope this has shown you how easy it is to make a book with your little one! 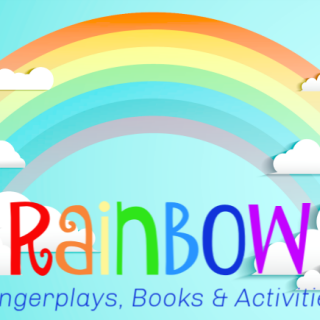 Lots of fun and guaranteed to be a favourite for a long time! 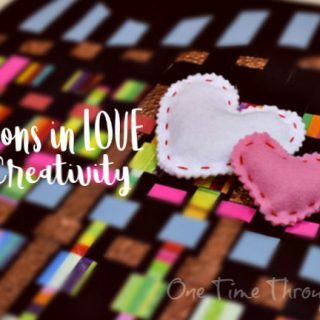 Have you made books with your child? 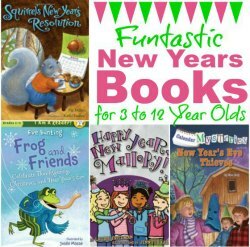 OR Do you have any ideas for creating books? I’d love to hear them! 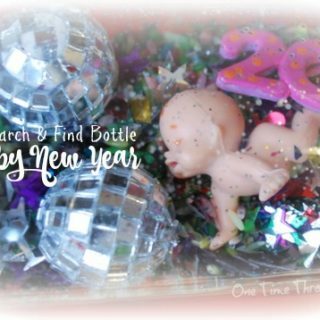 Please leave a comment below! Thanks so much qumusicadmin! Thanks for dropping by!